Throughout history elephants have been revered. They are most intelligent creatures, and honoured by many cultures. As well as being the largest land animals, they are also among the longest lived, with life spans of 60 years or more. In Buddhist tradition, the Buddha picked the form of a white elephant as one of his many incarnations, thus the rare appearance of a white elephant is still heralded as a manifestation of the gods. Elephants can teach us that gentleness, commitment, and communication in relationships is very powerful and necessary to keep relationships alive, trusting and loving, whether it be friends, family or partner. Deeply committed to all creatures with whom they have relationships, elephants are tough when protecting others and gentle when nurturing them. The matriarch (the oldest, most experienced female leader of a herd) leads in a way that is both gentle and inclusive. 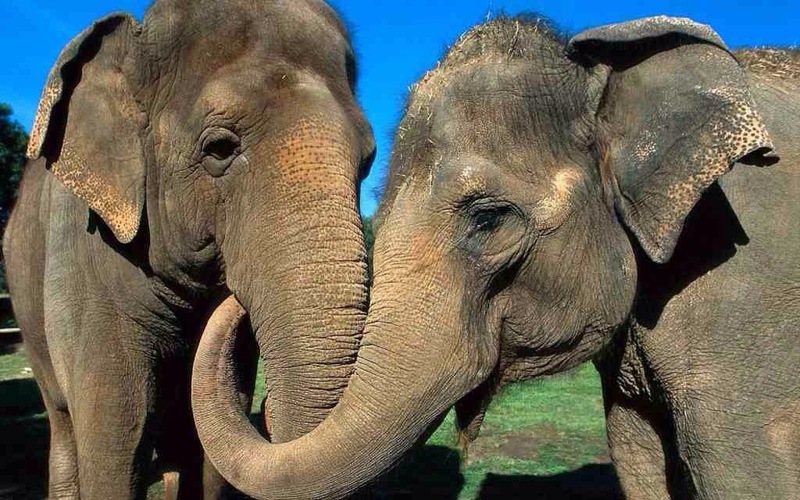 Elephants are able to communicate telepathically. This can teach us how to truly listen to others. Elephants show us that by supporting and loving one another, our own ability to thrive in the physical world is enhanced. We learn from them to pass on the gift of nurturing we received in our early years, be it from our biological family or others who helped us grow into who we are now. We must honour the elders of our community and nurture the young. Like the elephant, we need to help ease the transitions of those who are going into adulthood with gentle love, wisdom, patience and compassion. By having open hearts and minds, we can create strong relationships within the community, therefore building a strong community. Elephant tusks point backwards. They use them as weapons and for digging edible roots. From a spiritual point of view this hints at an ability to uncover the hidden memories and bring them to the fore for evaluation and healing. Let go.